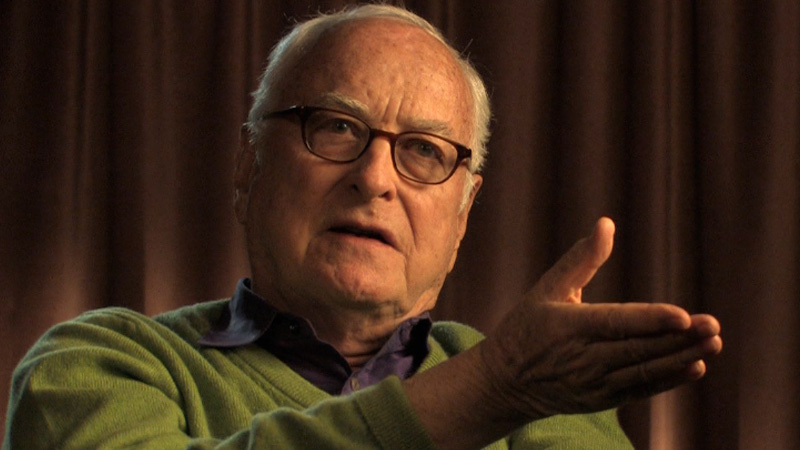 James Ivory has had an illustrious life — he’s won awards, he’s traveled the world, he’s made movies that helped launch the careers of stars such as Hugh Grant and Emma Thompson. And in 2011, he helped kick off the UO cinema studies program, giving the keynote speech at its first-ever commencement event. And this year he’s back. His appearance at the 2017 commencement ceremony for cinema studies will come just days after the program officially becomes a department, as opposed to an interdisciplinary program. The cinema studies commencement will be Sunday, June 18, at 12:30 p.m. in Room 156, Straub Hall. Ivory, who grew up in Klamath Falls, went on to become an internationally renowned director whose work has spanned decades. His most recent release is “Call Me By Your Name,” a movie he co-wrote that was widely considered to be the best film at the Sundance Film Festival in 2017 and received 98 out of 100 on Metacritic. Some of his other award-winning films include “A Room with a View” in 1985, the Oscar-nominated “Maurice” in 1987, “Howard’s End” in 1992 and “The Remains of the Day” in 1993. “Maurice,” which stars Hugh Grant, is currently being restored in 4K and will re-release this summer for its 30th anniversary. Based on the novel of the same name by E.M. Forster, it tells the story of two men who fall in love while attending the University of Cambridge in the early 1900s. Ivory graduated from the UO in 1951 with a degree in architecture, but he had always been interested in artistic pursuits and received a master’s degree in filmmaking from the University of Southern California in 1957. He then moved to New York, where he met Ismail Merchant while making a documentary. In 1993, he won the UO Pioneer Award, established in 1979 to recognize alumni who have excelled in areas such as business, philanthropy, communication, politics and the arts. The company that Ivory co-founded with Merchant, Merchant Ivory, has donated documents to the UO Libraries’ Special Collections and University Archives, including photos, scripts and correspondence.